Ahead of next month's World Cup play-offs, the Irish Football Association has today issued some important ticket information for the home leg. 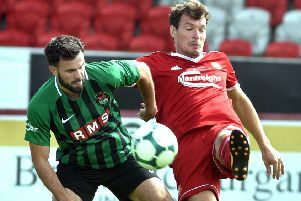 Northern Ireland will find out who they will go head-to-head with for a place at next summer's World Cup finals when the draw for the play-offs is made in Zurich on Tuesday, October 17. "Current campaign card holders will have right of first refusal for their seats and it is expected that this priority booking for home play-off tickets will open at 10am on Thursday, October 19. "Further information regarding tickets for the away play-off will follow. "All current campaign card holders are advised to ensure their account manager information is valid and up to date."